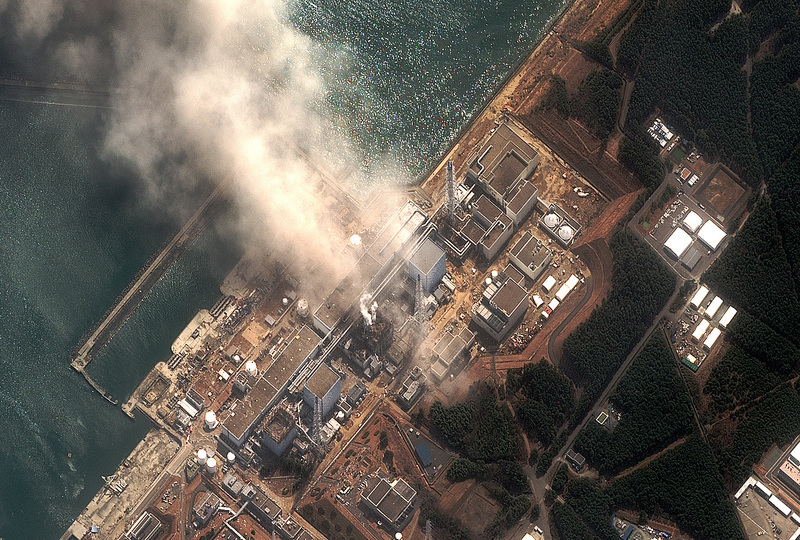 This satellite image provided by DigitalGlobe shows the damaged Fukushima Dai-ichi nuclear facility in Japan on Monday, March 14, 2011. Radiation from the leaking Fukushima nuclear reactor in Japan has been detected on the shores of Vancouver Island. Scientists say it's the first time since a tsunami in Japan four years ago that radiation has been found on the shorelines of North America.